Mary Anne Armstrong, MA, is a biostatistician and research scientist at the Kaiser Permanente Northern California Division of Research, as well as managing director of special projects. Ms. Armstrong earned her master’s degree in statistics from the University of California, Berkeley. She has been with the Division of Research since 1980, where she has worked in a wide variety of research areas, including alcohol and health, perinatal substance abuse, and neonatology. 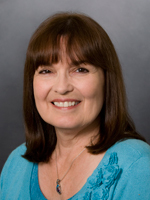 Ms. Armstrong is the chair of the Division of Research Local Research Committee, a member of the Northern California Central Research Committee. She is director of the Division of Research Biostatistical Consulting Unit, and provides statistical consultation to members of The Permanente Medical Group in Northern California. Ms. Armstrong has authored or co-authored more than 85 peer-reviewed scientific publications on a wide-variety of topics, including the relation of alcohol use to blood pressure, coronary disease, and stroke; utilization of health services before and after alcohol abuse treatment; neonatal assisted ventilation; and women's health. The Food and Drug Administration (FDA) has required Bayer AG to conduct a post-marketing study in the U.S. to determine the incidence of uterine perforation and IUD expulsion by type of intrauterine device (IUD) used. The goal of this study is to quantify the risk of uterine perforation and IUD expulsion by: (1) breastfeeding status at the time of IUD insertion, (2) time periods postpartum when the IUD was inserted (e.g., 6 weeks or less, after 6 weeks and up to 14 weeks, more than 14 weeks and up to 52 weeks, or more than 52 weeks), and (3) type of IUD. The goal of the study is to compare the incidence of uterine perforation within 12 months after IUD insertion between: (1) postpartum insertions within 12 months of delivery (with breastfeeding status), (2) post abortion or pregnancy loss IUD insertions and (3) interval IUD insertions not associated with a pregnancy, and to determine if IUD insertion immediately postpartum and/or breastfeeding are associated with an increased risk of perforation. Are Health Plan Design and Prior Use of Long-Acting Reversible Contraception Associated with Pregnancy Intention? ​J Womens Health (Larchmt). 2017 May;26(5):450-460. doi: 10.1089/jwh.2014.5146. Epub 2016 Oct 18. Soc Work Health Care. 2009 Jan;48(1):90-103. Qual Manag Health Care. 2001 Winter;9(2):6-15. Dig Dis Sci. 2017 Aug 23. Gastrointest Endosc. 2017 Aug 23. Cancer Causes Control. 2016 Aug 25. Am J Gastroenterol. 2016 May 17. Dig Dis Sci. 2015 Apr;60(4):984-95. Epub 2014-10-30. Perm J. 2015 Spring;19(2):28-34. Epub 2015-03-01. J Perinatol. 2015 Feb;35(2):146-50. Epub 2014-09-18. J Gastric Cancer. 2014 Dec;14(4):238-45. Epub 2014-12-26. Gynecol Oncol. 2014 Feb;132(2):428-33. Epub 2013-12-16. J Pediatr. 2014 Jan;164(1):20-5. Epub 2013-10-22. J Am Coll Cardiol. 2013 Aug 13;62(7):644-5. Epub 2013 Jun 13. Int J Gynecol Pathol. 2012 May;31(3):222-6. J Gen Intern Med. 2012 Feb;27(2):196-201. Epub 2011 Sep 16. Matern Child Health J. 2010 Mar;14(2):227-34. Epub 2009 Jan 19. J Perinatol. 2008 Sep;28(9):597-603. Epub 2008 Jun 26. Ann Intern Med. 2007 Sep 18;147(6):370-6. Am J Obstet Gynecol. 2007 Jun;196(6):588.e1-6. Am J Obstet Gynecol. 2007 Jun;196(6):601.e1-5; discussion 601.e5-6. Contraception. 2007 Mar;75(3):177-84. Epub 2007 Jan 16. Arch Dis Child Fetal Neonatal Ed. 2006 Jul;91(4):F238-44. Epub 2006 Apr 12. Arch Dis Child. 2005 Feb;90(2):125-31. Alcohol and in-patient utilization: what is the shape of the relationship? Addiction. 2005 Jan;100(1):30; author reply 30-2. Soc Work Health Care. 2004;38(4):25-35. Am J Epidemiol. 2003 Sep 15;158(6):585-95. Am J Med. 2003 Aug 15;115(3):171-7. Arch Pediatr Adolesc Med. 2002 Feb;156(2):155-61. Subst Use Misuse. 2001 Dec;36(13):1781-93. Pediatrics. 2000 Aug;106(2 Pt 1):256-63. Am J Cardiol. 2000 Jun 1;85(11):1334-7. Pediatrics. 2000 Apr;105(4 Pt 1):822-30. Pediatrics. 1999 Nov;104(5 Pt 2):1198-203. Pediatrics. 1999 Oct;104(4 Pt 1):894-9. Paediatr Perinat Epidemiol. 1998 Oct;12(4):422-36. N Engl J Med. 1998 Jan 1;338(1):15-9.